nook & cranny farm is a small scale, intensively managed vegetable farm in the town of caroline serving the brooktondale and ellis hollow communities since 2008. we offer a diverse, bountiful, and high quality vegetable csa from mid-april through december, with separate spring, summer and fall shares. this year, in addition our large and small shares, we will also offer a personal-sized share. shares are available for pickup sunday afternoonafter 3 pm at the farm. we will also offer tuesday pickup at the dewitt park market (9-2) and wednesday afternoon pickup at the east hill farmer's market (4-7). 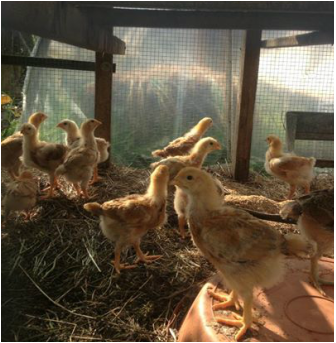 we are a small farm that strives to be community-focused and knows every share holder. we constantly improve our soil through rotations, cover cropping, heavy mulching, and addition of organically-approved rock amendments and composted manure. we strive to be mostly hand-powered, relying on two-wheeled BCS tractors for soil work, and thus maintain a low carbon footprint. during the 2017 season we used 25 gallons of gas for all on-farm activities serving csa shares to over 70 families, in addition to attending 3 farmer's markets per week, and supplying weekly produce to brookton's market. 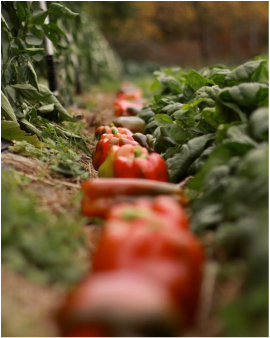 we grow over 40 types of vegetables of hundreds of varieties. season extension is of particular importance to be able to supply high quality early and late vegetables. to this end, we have spent several years experimenting and optimized growing in hoop houses and low tunnels. high quality greens, brassicas and roots are freshly harvested in both early spring and late fall. during the summer hoop houses are used to grow heat-loving tomatoes, peppers and eggplant as well as early carrots, zucchini and beans. several staple vegetables (potatoes, onions, garlic, carrots, broccoli, kale, lettuce) are included in our shares most weeks during the growing season. our crops and animals are tended by a dedicated, idealistic and hard-working crew. we are committed to producing great food to feed our comrades! we hope you enjoy our veg!